An ill-tempered, frequently old, stubborn person. A strong adherence to fixed ideas. A stubborn person or thing. “Ya see our brains are wired to learn things. Once we learn something, we hang on to it. It isn’t only memory, like rememberin’ a song. We learn what sort’a clothes we like and expect to see other folk wearin’ the same things. We learn how songs should sound, or how groups should be governed or how people should pair bond, and get this idea it should always be that way. We get all freaked out when some young’ins create a crazy new word or do their hair funny, or shack up in ways we never expected, simply because we didn’t do it that way. Joshua sits in thought. Now the silence is more welcome, a chance to mull over the information overload. Summer is over, but for the southern districts, the cool of autumn has not yet arrived. The evening is warm. The sun has fully set, dark trying to sneak in. With the onset of night, the park gradually lights up in a transition so smooth one hardly notices. I appreciate the heartfelt concern and desire to help. I am exceedingly grateful. At the same time, I do not want to just take someone’s money. I recognize it as help, as a gift, but I am not a destitute person. Neither am I well off, or even in a liquid state. Life is often pillar to post with a lot of hand wringing in between. Nonetheless, I get by. I make do. I stand on my own two feet. At least, I try to. The publishing of a novel rests in two dimensions. In one space, it is a gift to the world. It is my vision, my thoughts and deep ponderings expressed in crafted sentences for the enjoyment of those who read it. 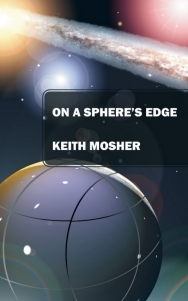 In another space, publishing a novel is a personal goal. I choose to have it published. I could simply put the text on the web for everyone to read free. However, I want to see my name as the by-line on a printed tome. I have that elusive vision of a legacy lasting through time. I am willing to accept low proceed margins. The publishing itself is a personal goal, not a life sustaining one. If I wanted to paint the rented mobile home I live in, could I ask friends for paint money? I suppose I could ask, but who would want to give? So how is accepting money for publishing my personal pet project any different? Yet I understand that some see the greater good of a writing project, the exchange of knowledge and thought. Some may be truly anxious to hold a copy, and for that I am extremely grateful. However, to just hand me some cash does not guarantee the fruition of that goal. I recognize it is a comforting support. “Keep at it, old man. I can’t wait to read it.” Have no fears, I will keep at it. These offers have made me think of times when gifts are the cultural norm, birthdays, Christmas, Hanukah. We often receive a gift from someone for whom we do not have a gift in return. How do you feel when that happens? I know I am always grateful, but I also feel a bit ashamed. You thought so much of me, and I have no way to show that I think the same of you. Perhaps I assumed there would be no physical gift coming, that happy wishes would be all we need to share. Perhaps there was not the time, and often there is not the capital to supply everyone with a purchased symbol of compassion. The moments of smiles and handshakes and hugs, and the time together beforehand is the real gift, both given and received. Still, I understand that desire to help. Gifting may be an answer. I do, after all, have an existing novel in print, and in audio book, and in ebook. I even have t-shirts and mugs, tote bags and hoodies, and signatures can always be arranged. Give one or the other to a besty for a birthday, to a companion for Christmas, to a helper for Hanukah. In giving that, you will have given them something, given a touch of me to them, and put a little jingle in my coffers as well. You will be helping me in my next publishing conquest. On the other hand, if help is what you want to give, which I so greatly appreciate, spread the word. Promote a post, share a snippet, start a rousing discussion that generates interest. Point me toward a book signing, a con, or a panel discussion. Write a review, talk me or my books up to a bookstore owner, the list can be lengthy. I do not wish to appear to be snubbing your gracious gift when you ask, “Can I give you some bucks?” I am thankful that you even thought to offer. I appreciate the help, and will graciously accept the help that is needed, but you need to eat and pay rent as badly as I do. We can help each other, in so many ways. A recent FB post by an old high school chum has me reflecting, with delight, on one of the many aspects of my new novel. Honestly, I surprise myself at how deeply layered the work is. 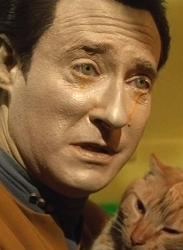 The main characters in the novel refer to AIs, the “Artificials”, as ‘they’ or ‘them’. You know that emphasized use of the third person pronouns to indicate a group is somehow not a part of your world. 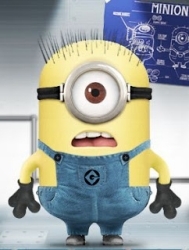 The way some folk refer to the government, or people of a specific ethnicity or religious belief. You have to keep an open eye around “them”. Use of everyday language with a subtly that allows the speaker to feel they have not been offensive or divisive, when in fact they are drawing a clear demarcation. Without giving away the story, I can say in the end it is determined it is not who or what ‘they’ are. It is not that ‘they’ are, or how ‘they’ are. The problem is the interaction, not the purveyors nor the perceivers of the interaction. The difficulty is the belief that, on both sides, things must go a specific way when there are hosts of alternatives in between. Throughout the work, as one character talks about ‘them’, cocking their head and indicating some distinct group someplace else, some group that somehow does not belong, the character will also point out the natural right for ‘them’ to exist. The book points out an odd sort of duality. ‘They’ have the right to be, but ‘they’ should not be the way they are. I do not create any specific conclusion for the ‘them’ issue. I draw a conclusion for the problematic interaction, but I do not convert ‘them’ to part of ‘us’, though that would be the goal. There are follow up books already in the works, the ‘us v. them’ meme having important implications and useful for expression. I promise you this novel will make you think and feel. If we assume that climate change does not send humanity back to the caves, that we do not bomb ourselves back to the Stone Age, and that some meteor does not wipe us out like the dinosaurs, then we must accept that technology will continue to move forward. Technological advance will coincide with medial advance, and vice versa – technology will improve our medicine, and medicine will drive technology. We already see amazing advances in prostheses. Beyond old style hook hands, we now see articulated hands driven by thought. The deaf are given sound, and even the blind are given sight. The goal is obvious, life everlasting. At some point, computers will outthink us. At some point, an obvious connection will be made. With a computer substrate that has the capacity to carry out every single function of a human nervous system, why couldn’t a person’s memories and feelings be imprinted on such a mechanism? With a complete knowledge of a person’s connectome, with the ability to map it down to the last neuron, why couldn’t an artificial prosthesis for that connectome be manufactured? Memories and feelings, instincts and gut reactions stored and play-able for eternity, in a body of prosthetics molded to look like the individual. Someone will be the first to try it. Why not? What is there to lose? They are going to die anyway, and that technology would present the possibility of evading death. Suppose it works. The machine wakes up and believes it is the individual. How could it not? It has their memories. Is it really the person? Did their soul transfer with their consciousness? Do you even have a soul to transfer? Who can say? Moreover, someone will be the first person to have a close loved one go through the process. At first, it will be experimental. Everyone involved or connected will be informed. However, once the process has reached some level of perfection, there may be no need or desire to inform anyone, just as you may not wish to tell folk you have had a denture put in. You do not want anyone staring at you, or treating you differently. As such, someone will have the process done, telling no one. They suffered an accident; they are “Reconstructed” – avoiding death. They wish to walk into the party tonight as if nothing had happened. Likewise, someone will be the loved one of that person. Like it or not, someday they will find out that their loved one’s flesh and blood body had passed and the person they had been caring for is 100% prosthesis, their memories and reactions continuing to function through prosthetic means. How would you react when you find out? 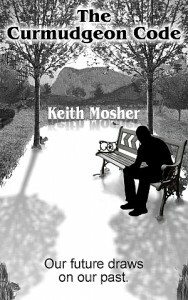 Joshua, the main character, faces this moral dilemma in several guises through the course of the novel. These conditions lead him to deep thoughts on consciousness and questions about what makes us who we are, what makes us human and alive. These considerations call up some of the world’s great thinkers, Socrates, Descartes, Alan Turing, Douglas Hofstadter, and their ilk. If you want to know more, you will have to read the book or listen to the audio book. To do that, I need your help to get it published. Please visit the Kickstarter page for The Curmudgeon Code and pledge. 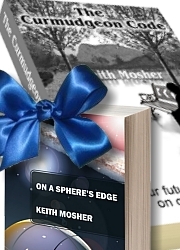 I promise you, the novel will make you think – and feel. This excerpt is from “The Curmudgeon Code: Chapter 1 – The Curmudgeon Effect”. Like any clip or excerpt from a larger work, this requires some set up. The relationship between Joshua and Scoot is budding. In previous chapters, they have been meeting in the public park, getting to know one another. 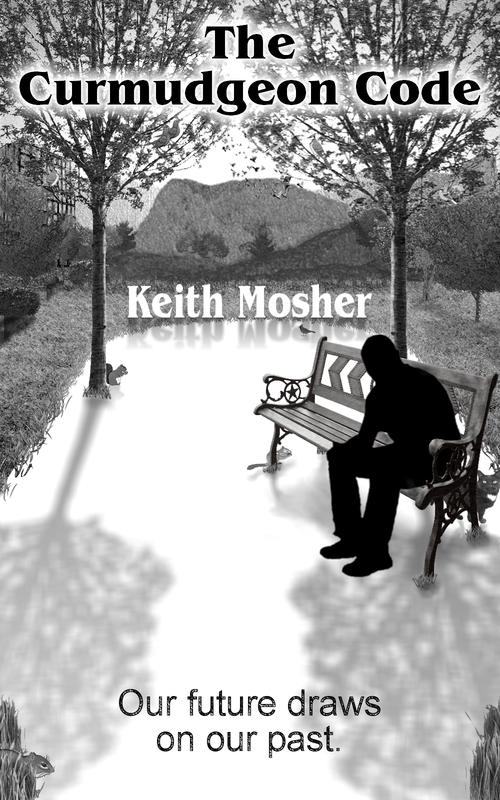 They meet on a bench that comes to have special meaning to Joshua. Not only is it where he meets and gets to know Scoot, it is where he and Ford used to talk. The bench has some metaphorical importance to the overall story. In the previous chapter, Joshua invites Scoot to his place to look at his drawings and paintings. In this chapter, Scoot has invited Joshua to her place so she can display her hobby. She likes to make music. Excerpt from “The Curmudgeon Code: Chapter 13 – Tuning Up”. Scoot taps at the touchscreen, selecting some recordings, and flowing notes like the gentle caress of water begin to fill the room. The fluid notes are accompanied by random sparkles, and then supported with a gentle rhythm that pulses and grows. Joshua listens, soaking in the sound, eventually closing his eyes. Images form in his mind. Pencil and paint combine with luminescent, shimmering shapes. With the presence of Scoot all around him, and the drawing of her fresh in his mind, the mental images move and flow with the waves of chords and high notes. He could not tell if the images in his thoughts followed the music, if the music was creating them, or if they came altogether prepackaged as a unit. Regardless, they are one in the same. The images express the sounds, and the sounds enhance the images. He sat, eyes closed, drifting in unreal visuals and floating on the surrounding sound. He felt the loveseat move, which causes his mental dance to skip a beat. He opens his eyes. Scoot had moved from the music chair to the spot next to him. Her face is dreamy, her eyes nearly closed. He can tell that she sees visions too, and he wonders what they might be. The two of them sat for quite some time as tune after tune poured into the air. Some were soft and flowing, creating loving images in Joshua’s mind. Some were bright and bouncy, and built brilliant colors that moved and changed shape rapidly. A few were grinding tunes, the heavy, pulsing rhythms taking the lead. They felt primal and passionate, or sexual and lusty. The visions they create pulse and pump. Each piece speaks to him, and each gives him a glimpse into Scoot herself. Thin, light and bright tunes create images of a young girl frolicking, or playing with her parents. Springy songs conjure up visuals of the full-grown woman dancing and swaying, or playing curious musical instruments. Lush lullabies layer landscapes with dreamy melancholy and visions of Scoot floating on the air, while the primal pulsating pieces craft images of romance and passion. As one piece ends, Joshua craves for the next, the sounds being portals into Scoot’s very soul, and he wished to know her entirely. With each new sonic vision, his knowledge of her grows. This is communication beyond words. Her orchestrations connect with his illustrations, giving them a life he has never known. Note upon note, beat upon chord, he was building a backlog of images he simply must paint or draw and all of them contain something of Scoot. He yearns for more impressions of her, for more about her life, for more about her soul. I posted another update on the Kickstarter. This one does not have a clip from the audio book, but it does include excerpts from the novel. I’ve put together a special “Labor Day” update on “The Curmudgeon Code” Kickstarter page. The update includes an exclusive excerpt from the audio book. CHECK IT OUT HERE – and SHARE IT with your friends! 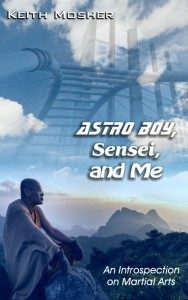 An entire chapter from the audio book, available only on Kickstater. 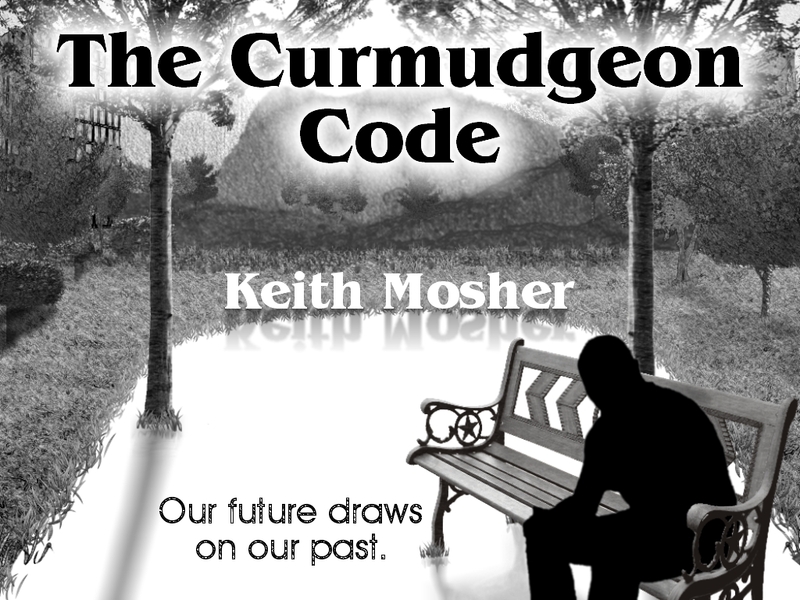 CLICK HERE to check out “The Curmudgeon Code” Kickstarter Update. Is that all you did? 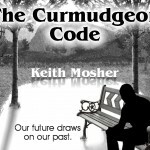 There is more to “The Curmudgeon Code” Kickstarter than just a video. Visit the page. Read about the project and help me fund it. The turnaround time for rewards should be quick. 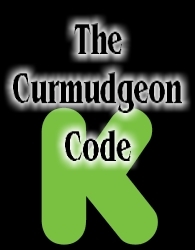 Visit the page here: The Curmudgeon Code Kickstarter. 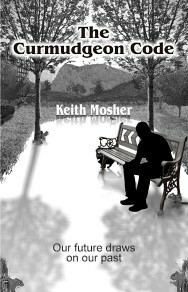 “The Curmudgeon Code” Kickstarter launched today! 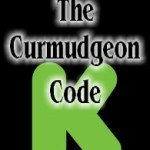 Check out the Kickstarter page and help me get “The Curmudgeon Code” published – and tell your friends!